Gary is a grizzly bear, a brown bear by any other name. At two and a half years old he is spending his first year alone, after he was weaned by his mother in the spring. 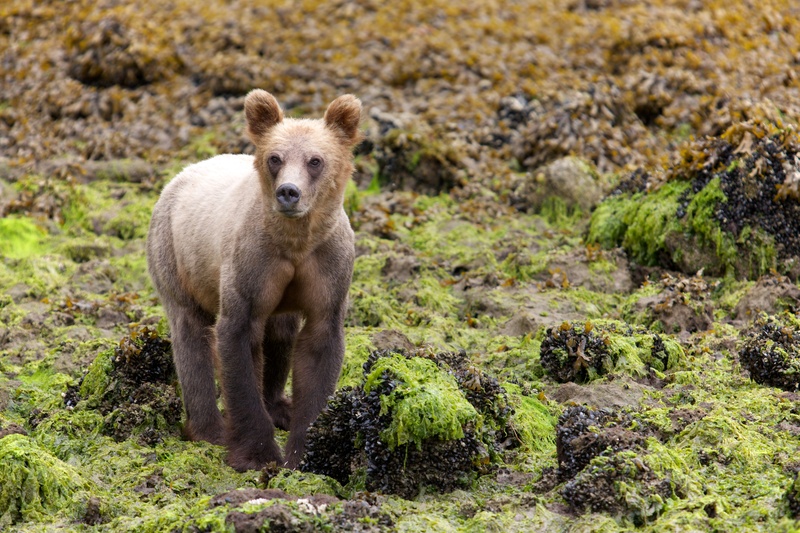 Early July 2013 (above), he is feeding at the intertidal zone, scrapping barnacles and mussels from rocks, like many bears at this time of year he is a little undernourished and waiting for the salmon to enter the rivers in August. 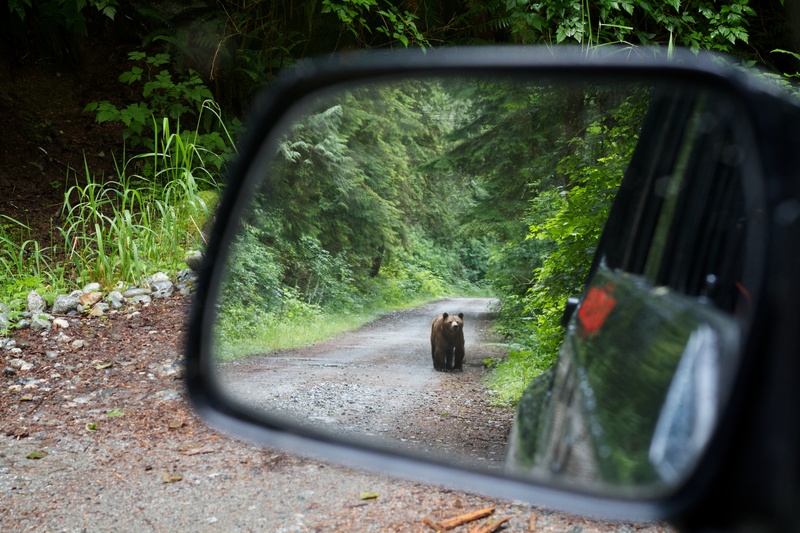 Like other sub-adult bears he is moving to new areas as he searches for food, driven by hunger, curiosity and the presence of other, older bears in the feeding grounds that his mother once took him to. Being a male bear, he will travel further and wider in the landscape than a female bear. Gary has been raised around a very special group of people. People who wish to see him flourish and seek preserve the landscape he lives in, but they are only able to protect him in a very localised area. 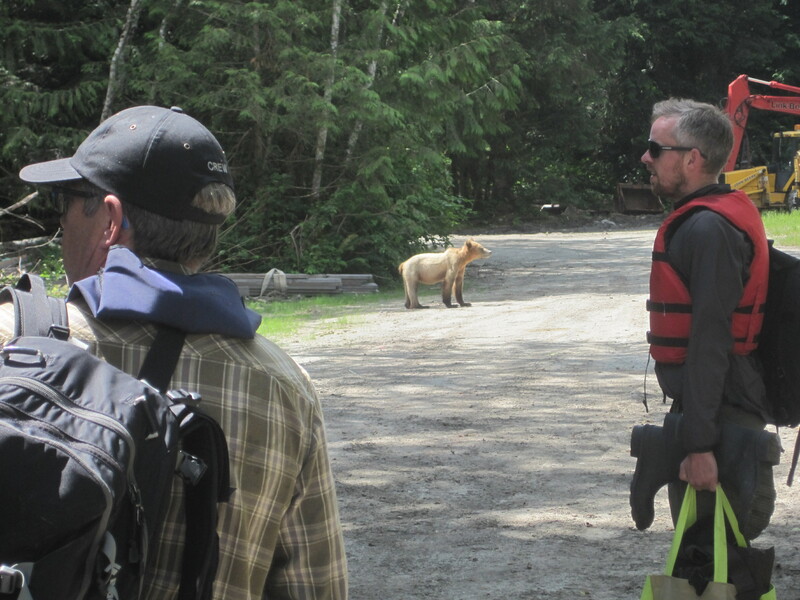 Gary may travel for many hundreds of kilometres, encountering on his travels a range of people with potentially very different views of bears. What will happen to him? I first saw Gary in June of 2012, one of the first bears that I ever saw, peering with his mother from his daybed here near the road as I drove past. I had not long been working with bears at the time and was still rather apprehensive about being on the land with them. Mothers with cubs were the ones I had read so many horror stories about, the ones to look out for. This image made me wonder. As my summer progressed at my study site in British Columbia I met Gary and his family a few more times; they helped propel me on this journey. Just a week later as my colleague and I made our way from a trail to our vehicle Gary and family rounded the corner of the logging road as they foraged for ripening berries. Spotting us there ahead, the female headed for the bush, chuffing to call the cubs her way. The three brothers headed in our direction, cutting into the bush just behind the vehicle. They showed little curiosity or concern at our presence, keeping their distance. 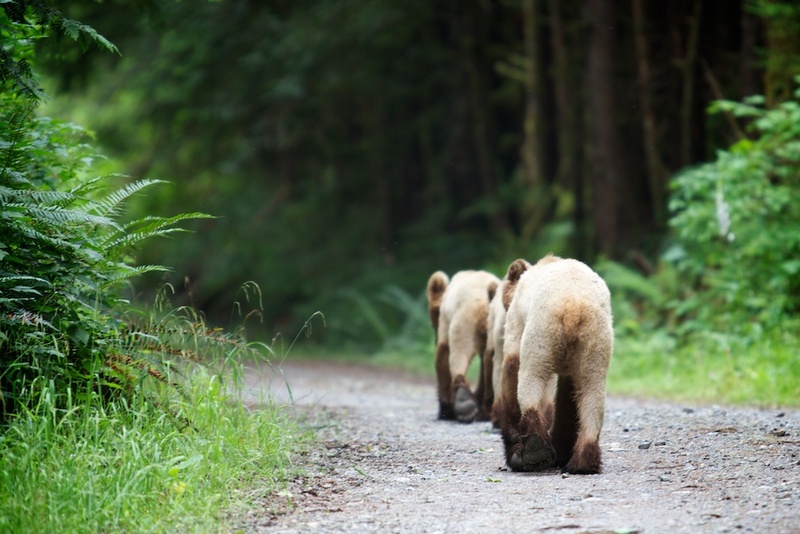 This is one of several encounters that I had with these bears while out working in the forest. They often walked past, at a distance, as they moved from one feeding site to another. Without ever being complacent about these encounters, they begin to highlight an incredible dynamic that seems entirely unlikely in the modern world, one where wild animals, show no fear of man. The last time that I saw him in the summer he was foraging on the shore with two or three small boats drifting offshore. As time drifted by the bears settled down for a sleep. 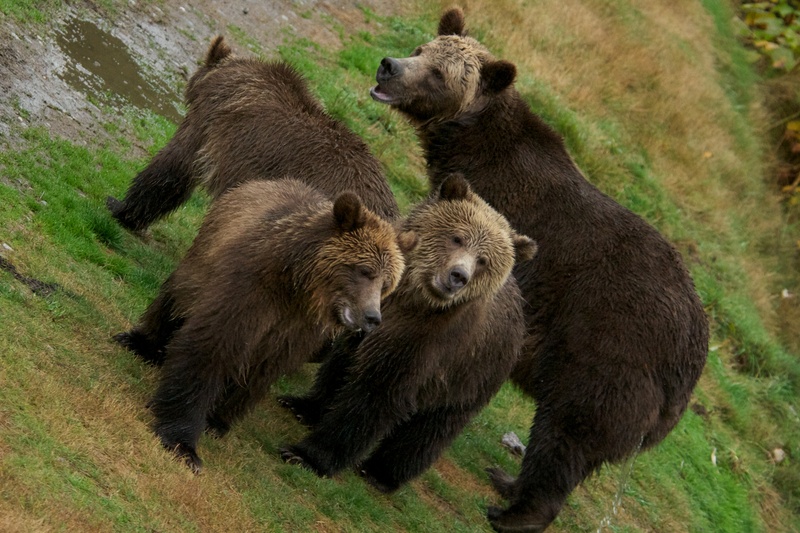 A wild female grizzly bear and her three cubs sleeping in the open within 70 meters of a couple of bear biologists and a dozen tourists. In the fall (autumn) of 2013 I saw Gary several more times. 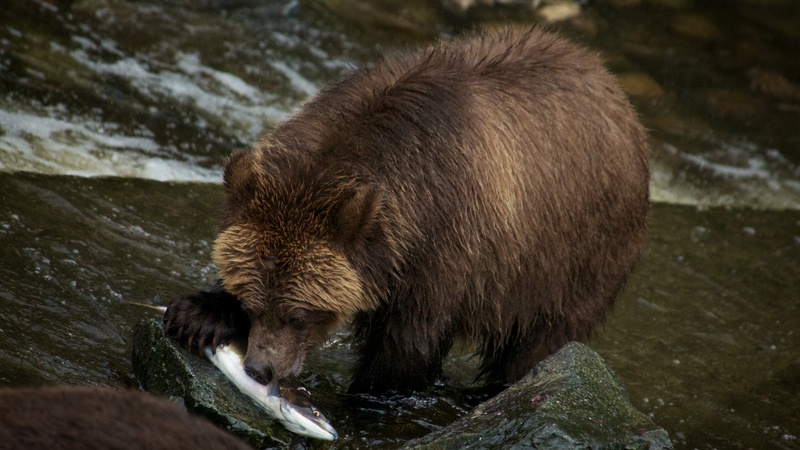 His mother brought him to feed at the man-made weir and salmon spawning channel, often choosing to feed just a few meters from the viewing platform built to allow people to see the bears. 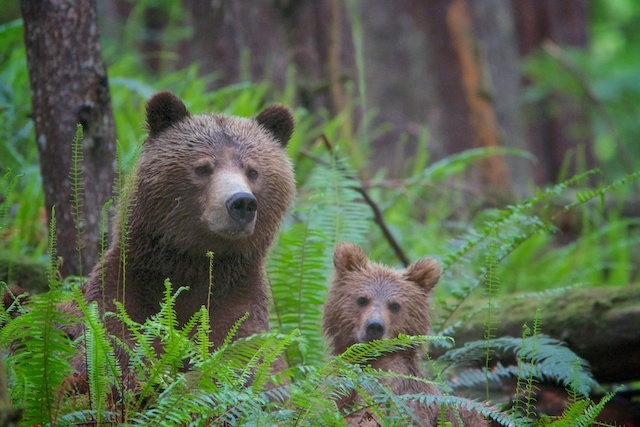 The early years of a bears life involve a great deal of learning from mum; copying her behaviour, eating the foods she eats, remembering the places she takes you. 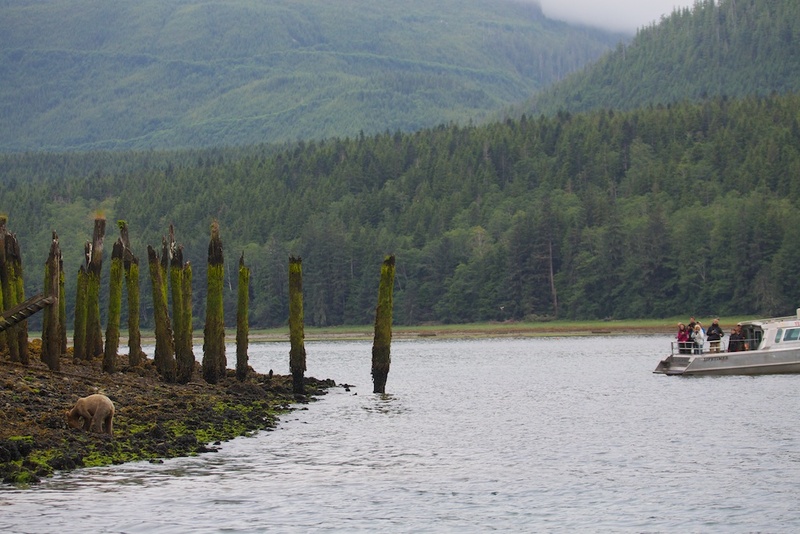 Gary now knows that he can feed with his back to people, whether at the spawning channel, at low tide or on a logging road. People are of no significance to him at this age. He was and still is often seen in areas of high human activity. After his mother weaned him, Gary and his brothers, spent some time together before they wandered off on their own. When the berries were ripe we found him on several occasions at the bus depot where we keep our vehicles. Seemingly unconcerned by our presence he never approached but would cross in front of us and head to the bushes to feed. I haven’t seen Gary for a few weeks now. 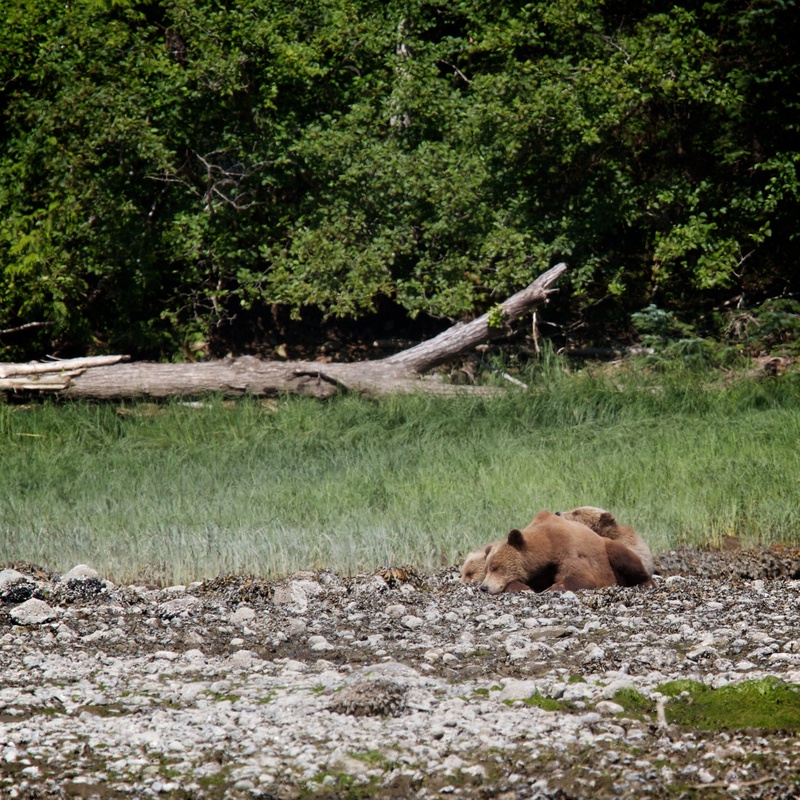 Since the salmon arrived with the rain more bears are here and they are spread out a little further. I did get the image below on a trail camera a few days ago, it seems he’s found one of his brothers… they are looking down towards the spawning channel, standing on their hind legs is something all bears can do, it gives them a better view of their surroundings. So where is this meandering post going? Well the answer lies with Gary and where he turns up next year, whether he turns up again near the lodge and what happens to him when he meets people who are perhaps less keen on seeing him in the road. Gary’s story is told from my perspective because it is also my story, it may well be considered anthropomorphic, but how else does a human understand an animal? 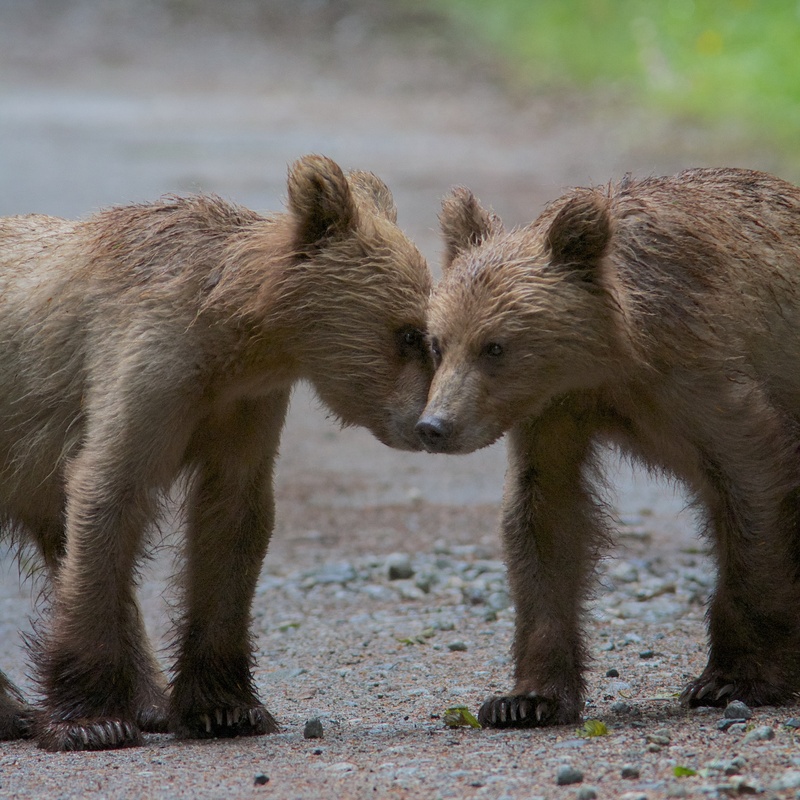 How else can we challenge the negative view that people and bears are unable to share a space and that people always have a negative impact on wildlife? He’s beautiful. He looks “blonde.” Is he and family a bit lighter than most or is that the lightning. Gary like many Grizzlies here is blonde in the spring and summer months; its linked to sunlight (sun bleaching) and when they start to regrow their winter coat. In full coat Gary only tends to have blonde ‘grizzles’ around his head. Actually his brother Steven is very blonde too, perhaps it is a family trait!